Oxford citizens lined the sides of the Board of Aldermen meeting room Tuesday night to voice concerns over the proposed Downtown Entertainment District ordinance and its regulations. The initially proposed Downtown District’s boundaries were South 10th Street, Van Buren Avenue, The Lafayette County Courthouse and East Jackson Avenue. After hearing concerns at Tuesday’s meeting, however, the board will consider expanding the boundaries of the district. 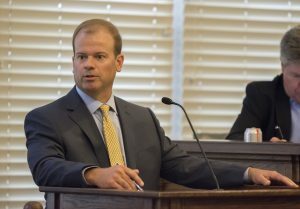 Attorney Dee Hobbs, who represents many bars in Oxford such as Proud Larry’s, The Lyric Oxford, Round Table, Funky’s and The Levee, said the district should be expanded at least to the encompass the entire Square and possibly the whole city. 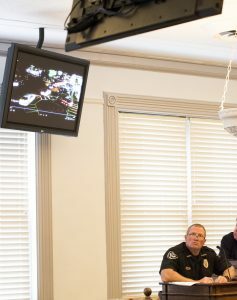 Local business owners referenced some additional costs of the proposed ordinance, such as camera installation and the proposed $75 fee for each event permit. Bradley Bishop, owner of The Lyric Oxford, published a letter this week calling attention to the section of the ordinance which would require venues within the Downtown District to acquire a permit from the City of Oxford before hosting any scheduled events. “The permit is a license to profile an artist and their fans based on one’s criminal record and “likelihood” of a crime occurring in the future,” Bishop wrote. Tuesday night, the board stood by its decision to include the event permit requirement. 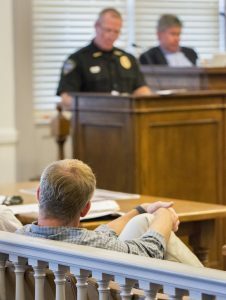 After discussion however, board members agreed to remove the original language granting the Oxford Police Department the ability to deny event permits. Other proposed regulations for businesses within the Downtown District include placing age verification scanners at the entrance of bars to prevent underage people from entering, and requiring bars and businesses to have a minimum of one security worker per every 50 customers. The proposals that proved to be of biggest concern were the age verification scanners, the ordinance as a whole being costly towards the businesses, and the proposed Downtown District parameters. Some local business owners argued that age verification scanners are costly and may be worthless due to the accessibility of fake IDs that will be able to pass the scanners. Hudson Chadwick, owner of Rafter’s Music and Food and The Annex, agreed that underage drinking is a problem in Oxford but doubted the ordinance as an effective solution. He said Alcohol Beverage Control agents recently entered his bar and wrote several tickets for minors in possession. He said the scanners may give an increased feeling of security, but that ABC officers actually advised him that a well-trained bouncer is a more effective deterrent to underage drinking. When Chadwick was asked Tuesday if he thinks that everyone with a fake ID will then upgrade to some that will scan, there was a group of people that shouted yes. Mayor Tannehill emphasized that the problems the ordinance seeks to resolve have occurred for a long time and have to be dealt with soon. In the letter sent out by The Lyric, the business claimed the ordinance is in response to the shooting that occurred on April 27 at The Lyric. Mayor Tannehill denied those implications. 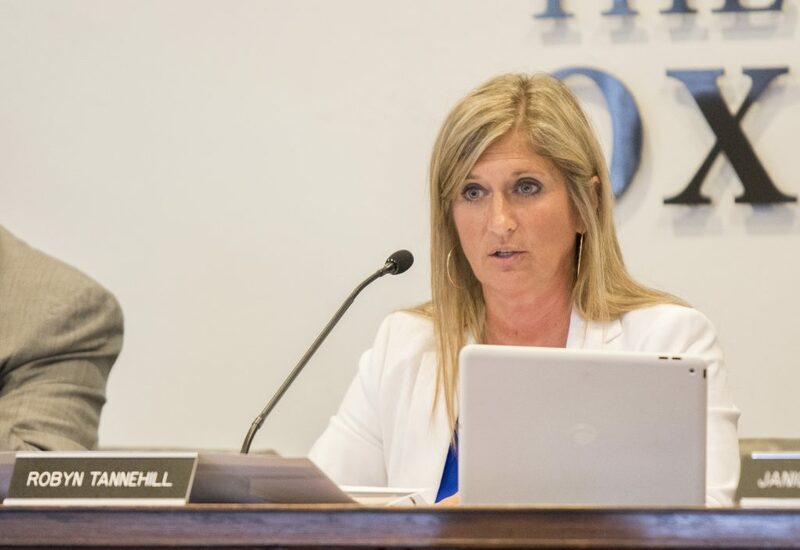 She said she plans on scheduling future meetings with bar and restaurant owners and hosting open meetings with the citizens of Oxford, possibly even outside of public hearings, to hear more public input on the ordinance.